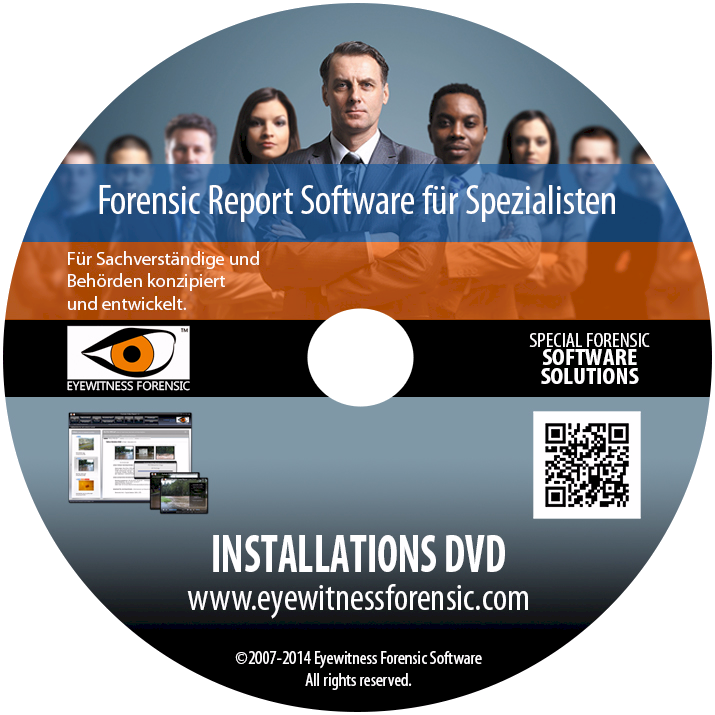 ﻿ Eyewitness Forensic Software - your forensic report specialist! 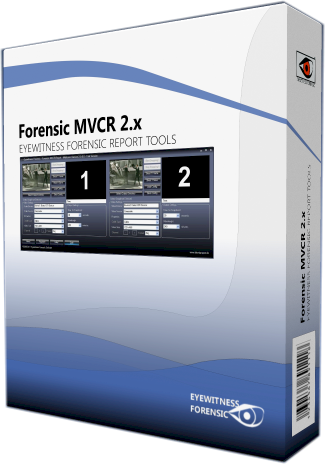 Forensic software developed for expert witness, law enforcement and any other legal authorities. 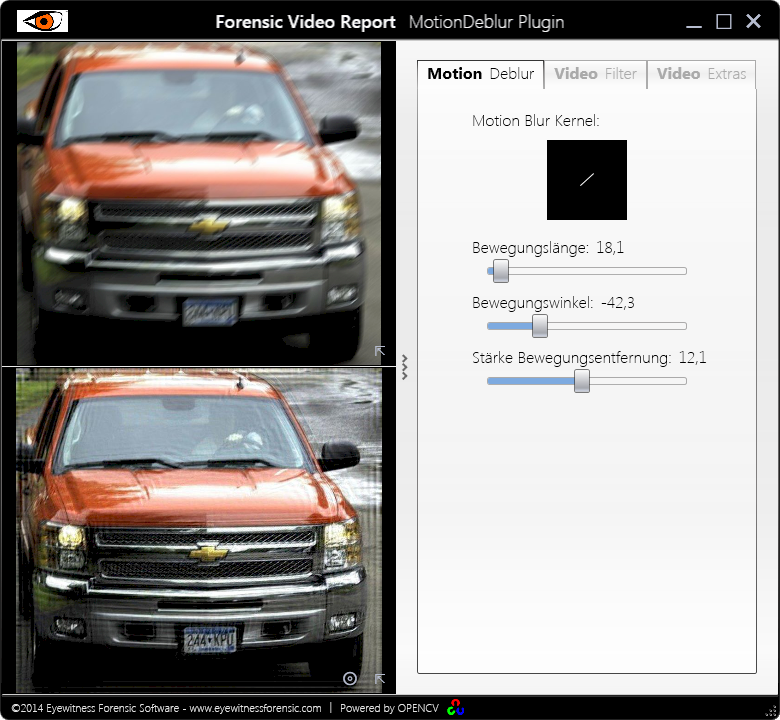 Starting Forenisc Video Report and adding video files to the case and automatic extract video meta information of them. Starting SVMPlugin and undistort the CCTV lens distortion. Drawing some reference lines and put in the reference object size to obtain the target size. 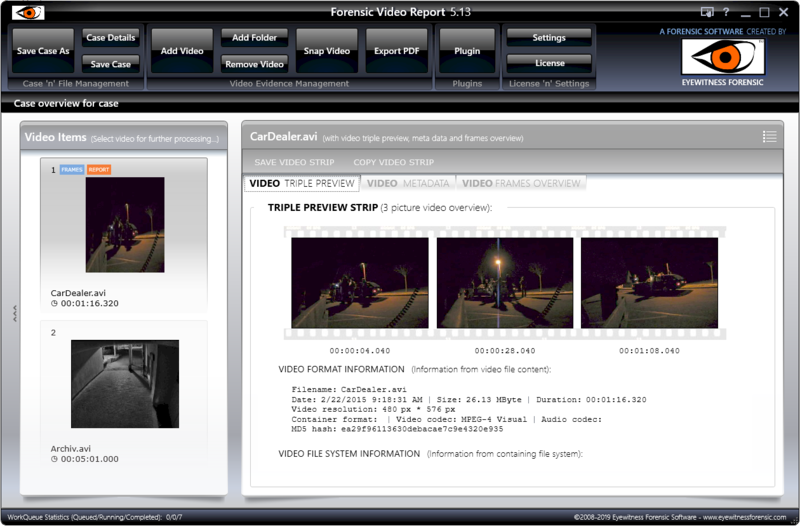 Put SVMPlugin frame back into Forensic Video Report and make the case report by the reporting features of Forensic Video Report as PDF report file for printing and court use. Copyright © 2008-2019 Eyewitness Forensic. All Rights Reserved. 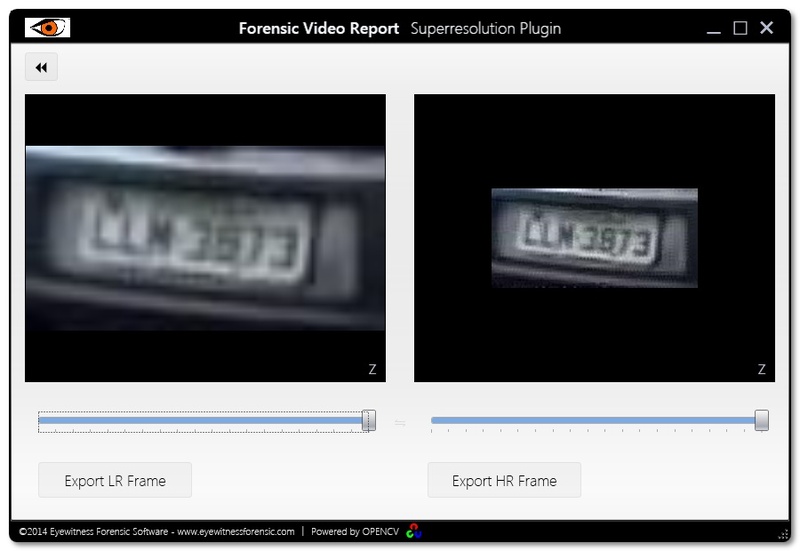 automated video reporting and forensic video post processing. 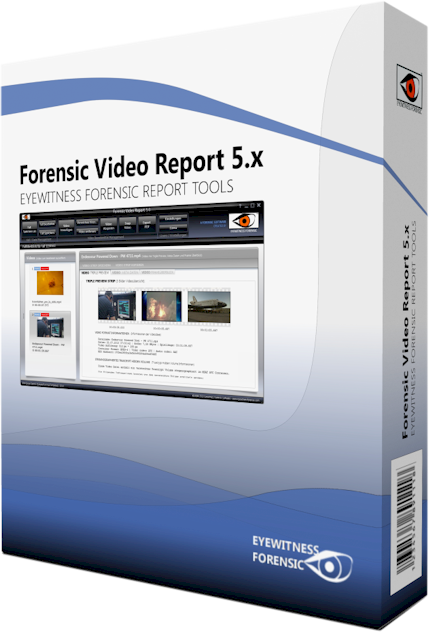 The forensic video report automaticly writing report files of any common video file. The reporting of video meta data and segmented picture shoots are the forensic part. 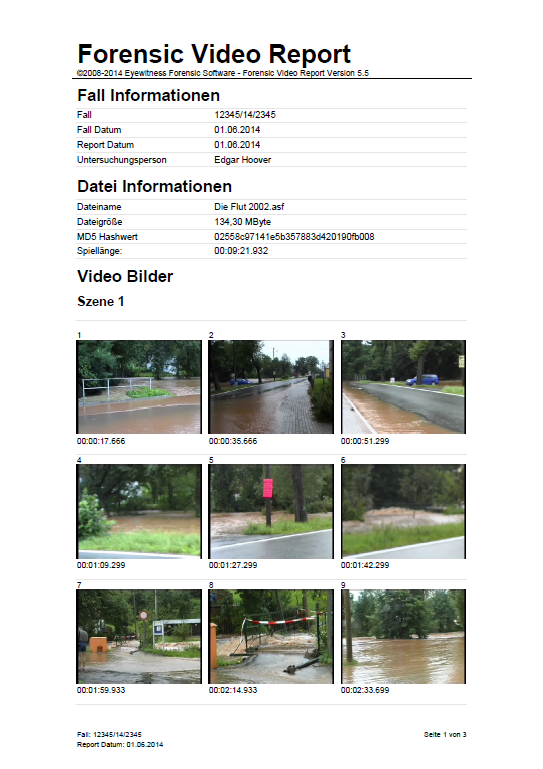 Video shoots can be done via predefined segments, a time based or an optional available content based segmentation with scene and shoot detection using Fraunhofer HHI technologie. 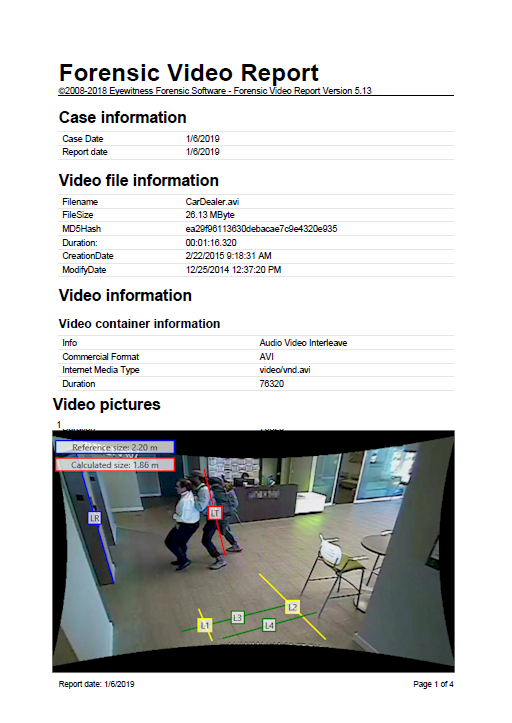 Therefore this new detection feature is unique in the field of forensic data investigations and in the field of forensic video processing. 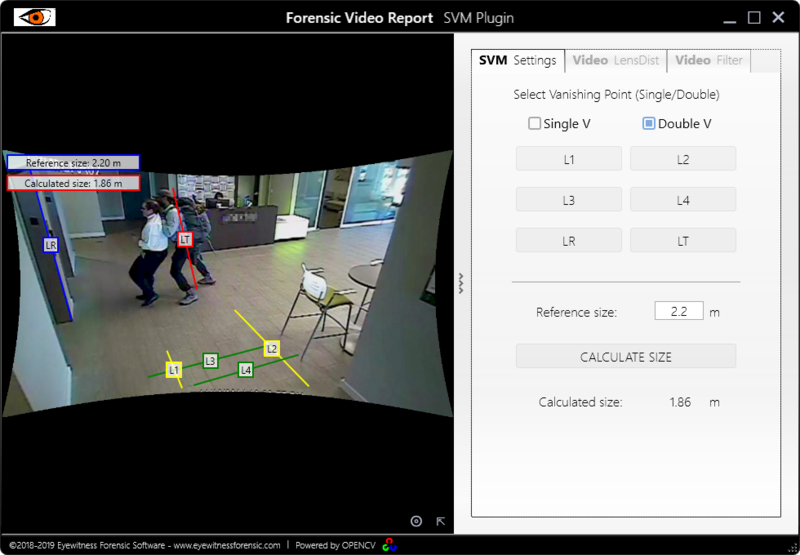 In the field of forensic video post processing the software itself brings a number of extra plugins that cover various forensic application needs. 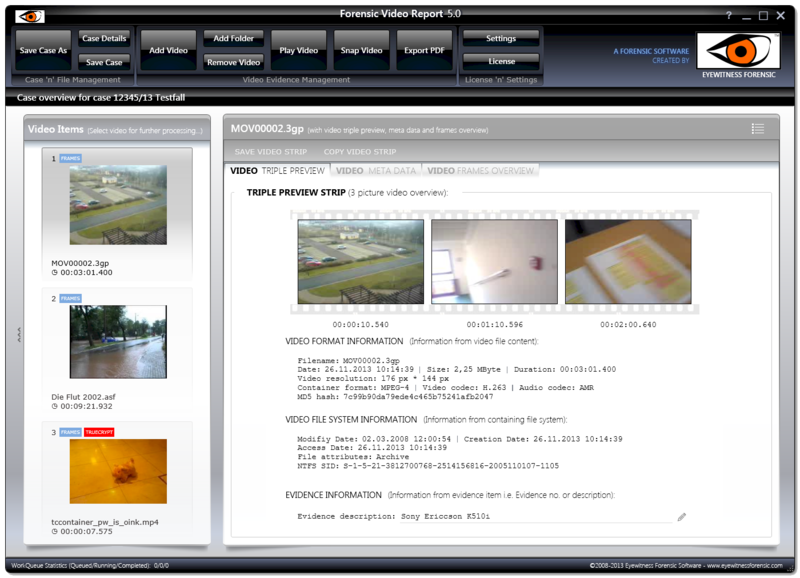 For integration with X-Ways Forensics a connection by the use of a X-Tension is available, which all the automation features of the Forensic Video Report provides at your investigation software. 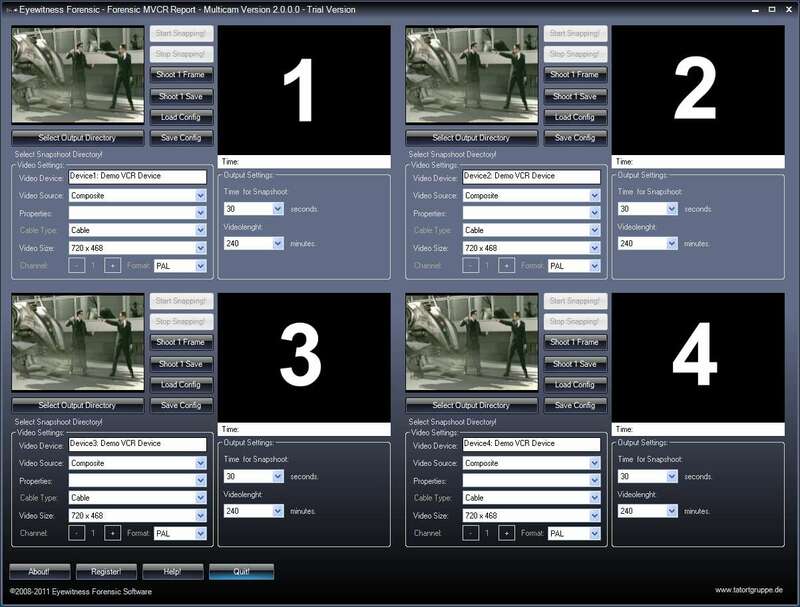 Plugin technology for enhancement of video files, such as video filtering, super reolution, de warping, video stabilization, frame averaning, video object measurment, motion deblur and motion detection features lead you to the video evidence. Installation Setup for STANDARD Version. PDF manual file including english and german. 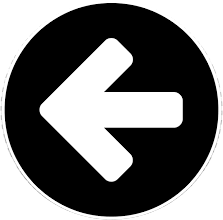 PDF flyer file for sharing and information purposes. Capturing up to 8 standard video input devices for forensic examination of analog video cassettes. Short PDF Manual with instructions. 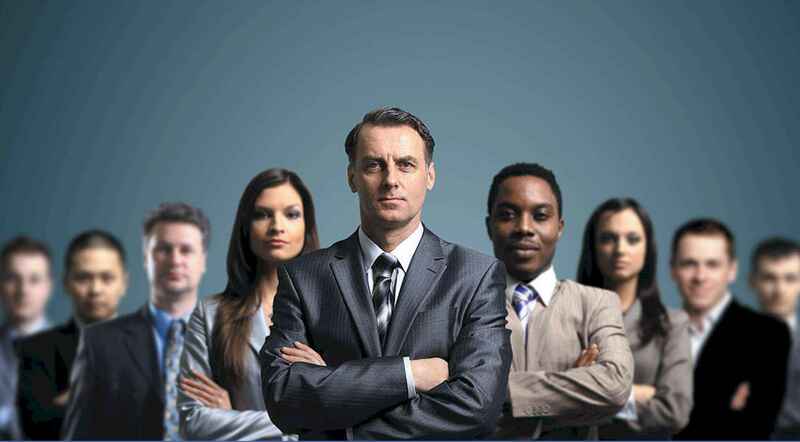 Leading forensic software solutions developed for the needs of law enforcement and expert witness work on mass data evidence. 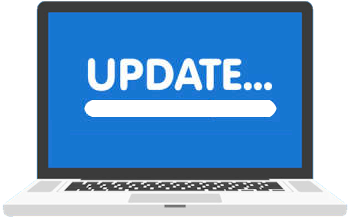 For all specialists whom using the software and need installation file for reinstallation. 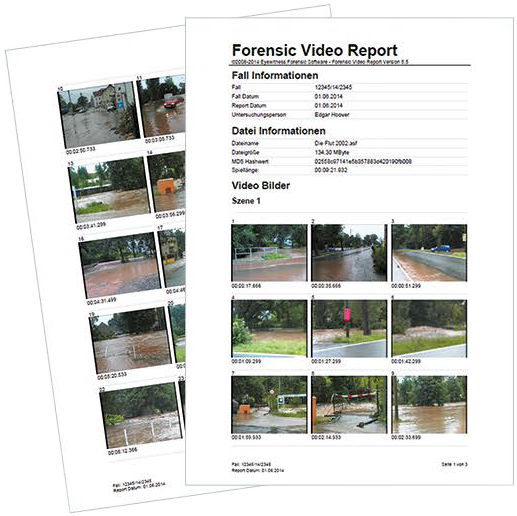 The analysis of accuring media data such as pictures, video and music files is simplified by an automated video image preview and meta data acquisition in Forensic Media Report. ICQ Messages Report is a simple ICQ history application for ICQ 6 and 7 data files to extract chat history including send and received files entries. 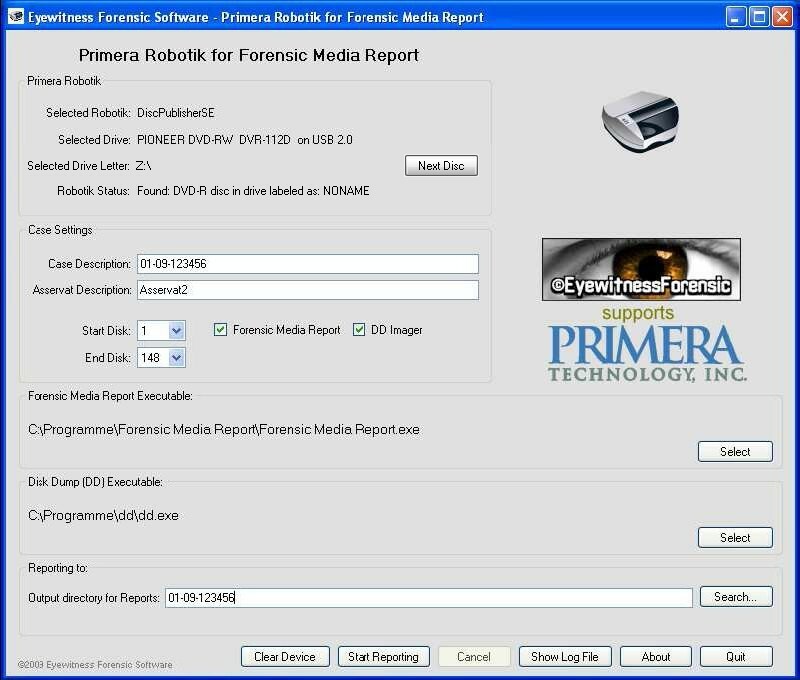 In combination with disk robotik unit from primera, forensic media report is able to automatically process mass data evidence CD/DVD/BD of large numbers. Setup files will be available for download and registration will also be open. But development is closed on this solutions. Special designed forensic software solutions for the needs of law enforcement specialists to work on evidence data files. These tools will be helpful for all specialists in forensic examination. 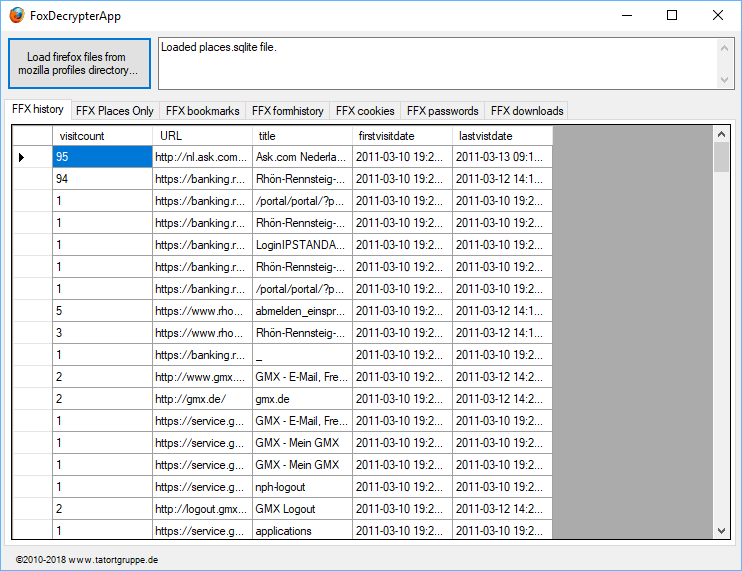 Recovering deleted SQLite records from SQLite database files, like Firefox, ICQ or on mobile phones for example. Simple tool for viewing Property List files including binary property list bplist files from apple devices. 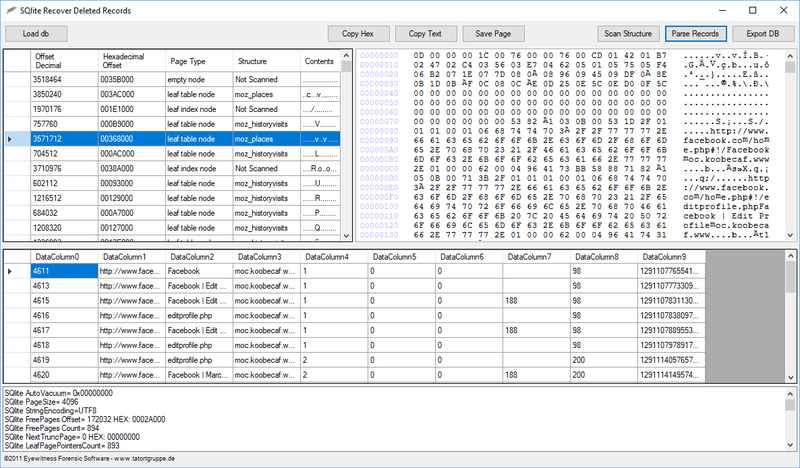 Simple Firefox database reader to read firefox history, form history, downloads and also to decrypt saved passwords. For questions, notes, support, assistance and further inquiries get in touch with us and we will take care of your concerns immediately. For purchasing issues contact our distributors.